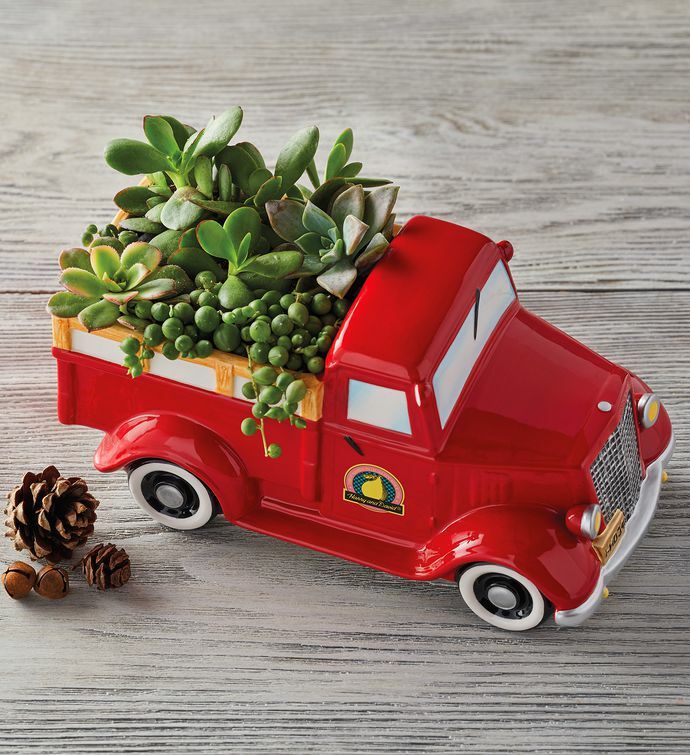 Add a touch of Harry & David history to your home or office décor with this charming succulent gift. An assortment of beautiful succulents rests inside a planter modeled after one of our classic Harry & David orchard trucks. This adorable red planter is perfect for adding a special vintage touch to gardens and windowsills, and makes a wonderful gift for someone special. Note: All succulents arrive with decorative moss to protect the plants, which should be removed before watering. Succulents need to be watered thoroughly upon arrival, and may take 1-2 days to recover from shipping. Detailed care instructions are included.